Call it a comeback. 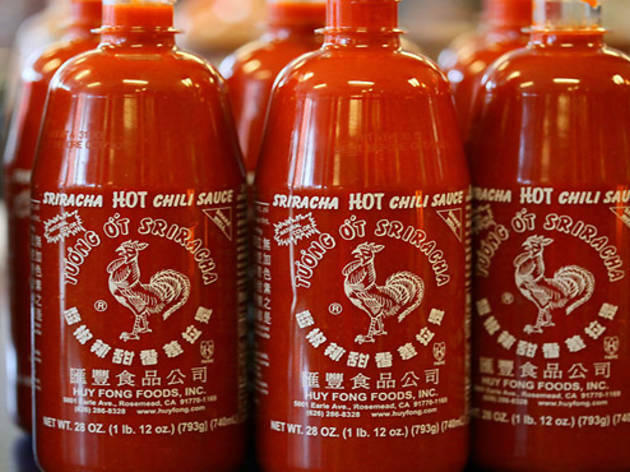 Fan favorite Sriracha hot sauce makes a triumphant return with its very own factory tour. Heat-loving citizens of Los Angeles, our Sriracha prayers have been answered. Not only has the temporary halt on Huy Fong Foods' most beloved condiment been lifted, but its new Irwindale facility is now offering free factory tours to anyone interested in seeing (and smelling) how this sweet nectar of the gods is made. Hallelujah. 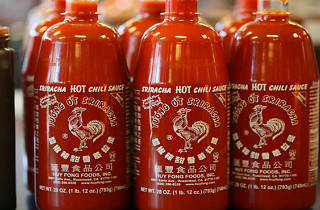 Despite an ongoing feud between Huy Fong Foods and the City of Irwindale over the factory's "noxious fumes," the company is inviting Sriracha fans (read: everyone) to see the facility during regular visiting hours, Monday through Friday, 9am to 3pm. If this is your fiery version of Charlie and the Chocolate Factory come to life, we'd advise stopping by before another tragic Sriracha embargo occurs—call 626-286-8328 to schedule an appointment. And in the meantime, stay sated with some of the spiciest dishes in Los Angeles.